Let’s face it. We are entering one of the most fun, yet most stressful time of the year! I know personally making sure that my home is “guest ready” over the next couple of months has me a bit nervous. My goal when people come to my home is to make sure they are comfortable and taken care of, even if they aren’t staying overnight. A short visit counts for me. 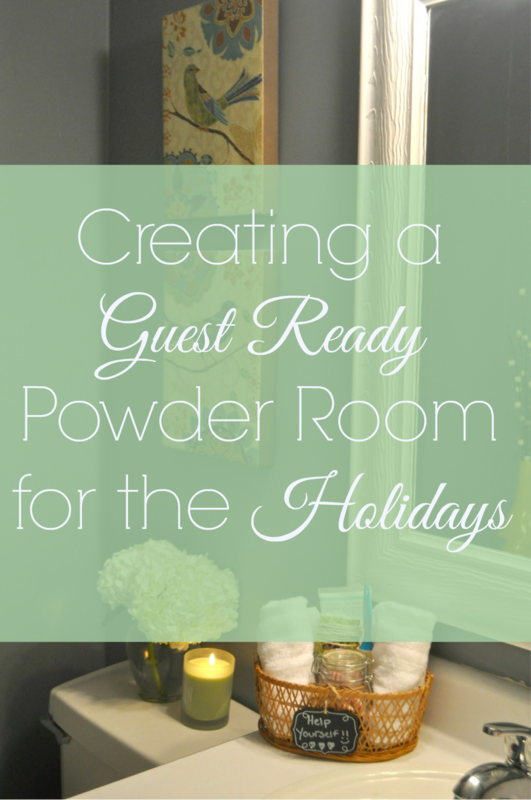 So while its easy for me to take care of my guests that may be crashing for a couple days, I like to make sure that my powder room shows just as much attention to detail, and is spotless! Heading to my local Target with my list in tow, I made sure to grab my Scotch-Brite® Brand products. Since my powder room is small, my cleaning areas of focus are pretty targeted. 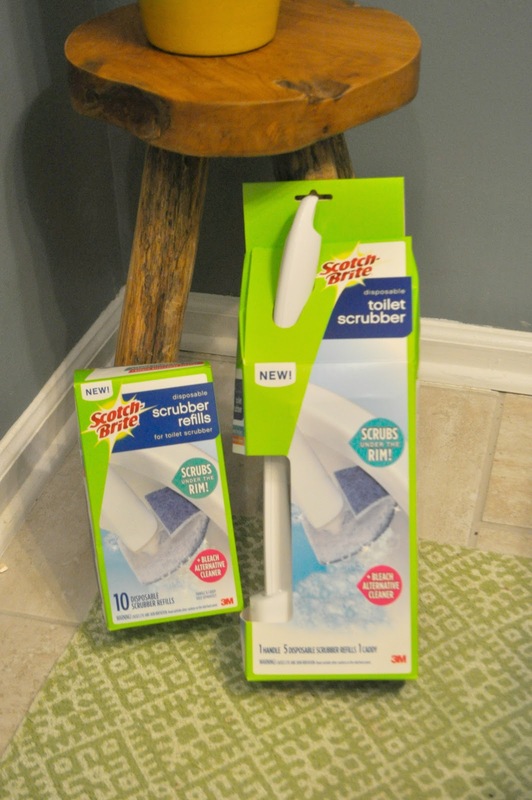 I start with cleaning the toilet using my Scotch-Brite® Disposable Toilet Scrubber, which cleans up the toilet nicely with its pumice scrubbing head. I also love that the bleach alternative is built-in the scrubber which helps me to eliminate the step of having to add a cleaning solution to the toilet, then scrub. Any time I can skip a step, A+ in my book! 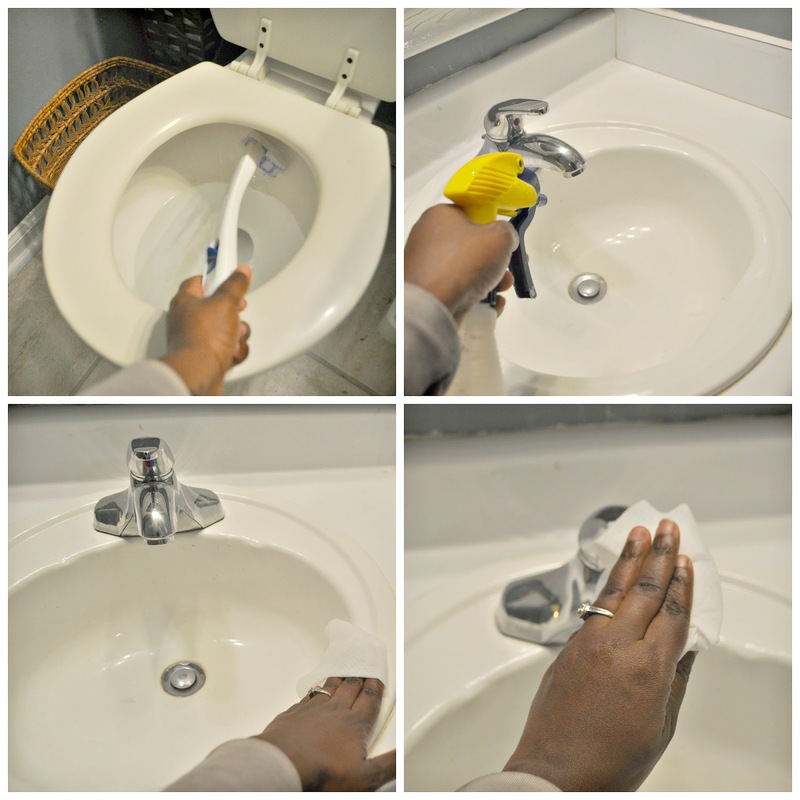 After the toilet, I focus on cleaning the sink using a homemade cleaning solution, wiping the inside of the bowl and wiping down the faucet. Once I finish with all the cleaning stuff…… I then focus on the PRETTY! 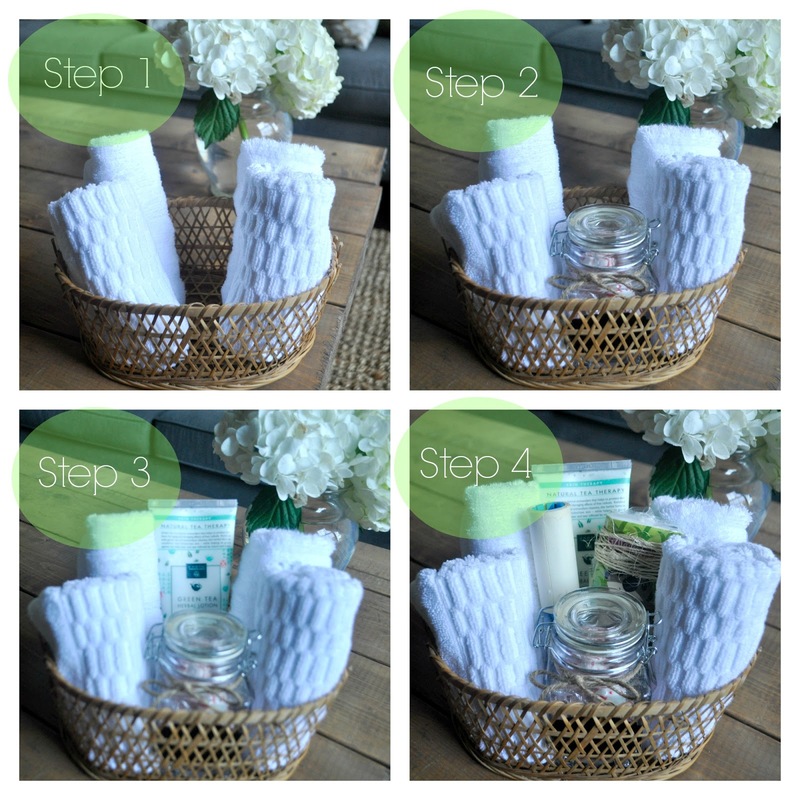 Following the steps below, I put together my basket. It was super simple! How easy right! As an extra detail, I added a chalk label and attached it to the basket. For extra credit, go ahead and add fresh flowers of your choice and a scented candle. And that’s it! Now my powder room is ready for any visitors that may come my way! For more awesome cleaning inspiration (because we all need it), click here. So what do you think? 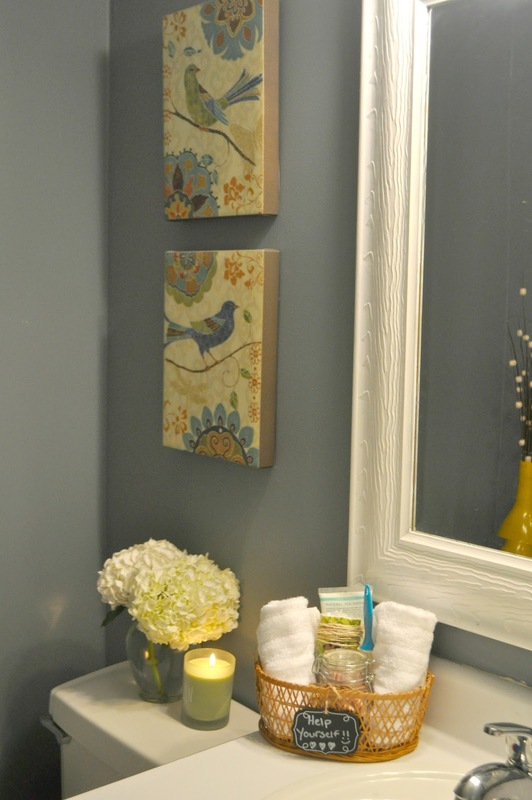 What are some of your ways to prepare you bathrooms or home for guests? Let me know in the comments below. 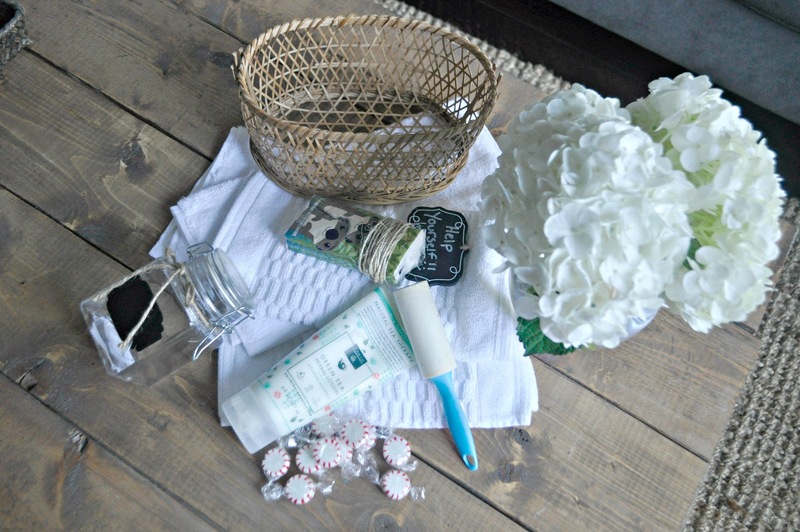 Next Post Live Pretty on a Penny Semi- DIY Kitchen Reveal! Awesome! I'm definitely going to try the toilet scrubbers! Especially since they are disposable. 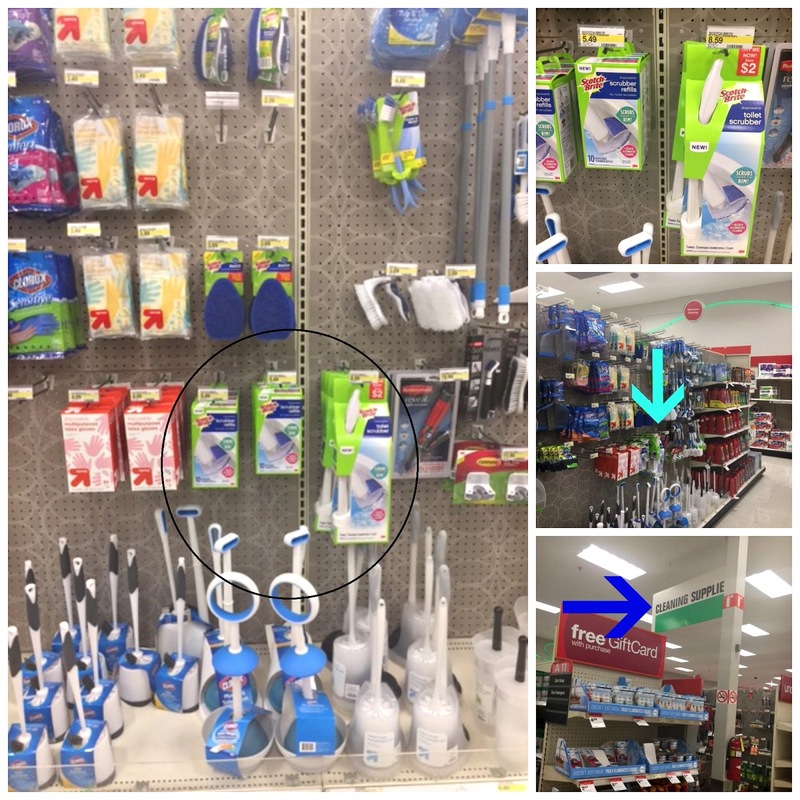 (Target run this week!) Where did you find the chalk labels? Thank you Adriane. The chalk labels were found in the Target $1 session. They were a score! Oooh, I love any that works hard and is ddisposable! I also love your guest basket of essentials, Erin. That's a great idea! Erin I have never thought to use these scotch products, but now they are being added to my list ! I love the basket you created too ! This is great Erin! Love the extra touch of fresh flowers! Just perfect! I'll have to try these out! I agree with Whitney above that I love disposable! Your bathroom is so inviting! 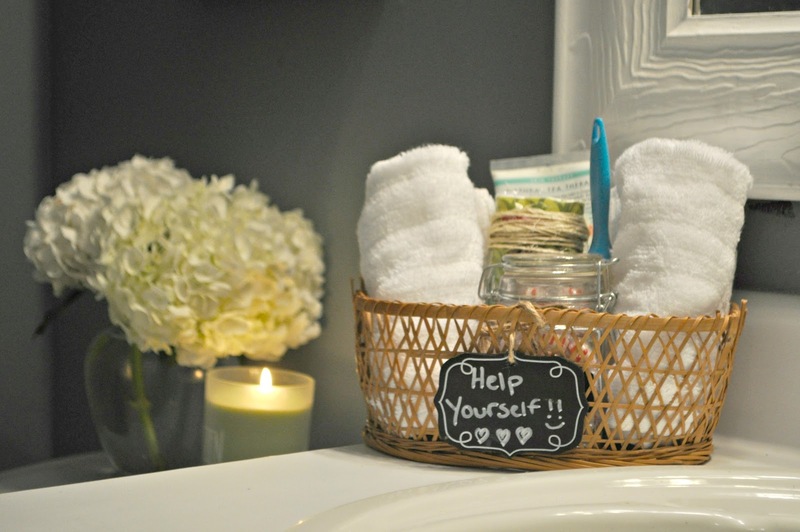 Your welcoming guest essential basket is a great idea! I don't often have guest but this is a perfect idea for my kids bathroom.